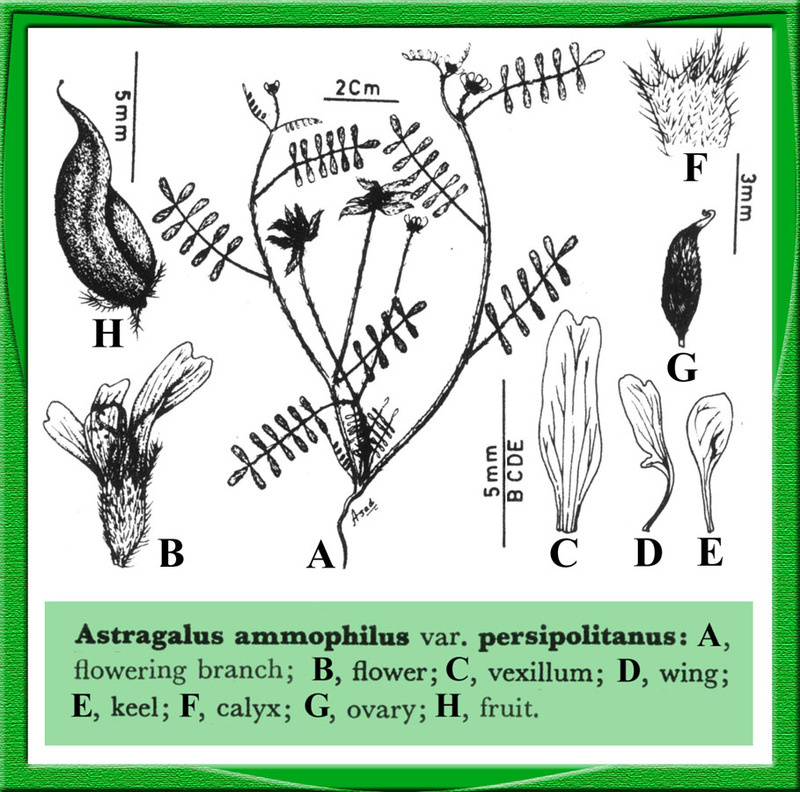 Trees, shrubs, climbers or herbs. Leaf rarely simple, mostly compound, unifoliolate, pinnately or palmately compound; stipels sometimes present. Inflorescence solitary, racemose, paniculate or umbellate, capitate or spicate. Flower zygomorphic. Calyx gamosepalous. Corolla polypetalous or sometimes united, vexillary imbricate, differentiated into the upper bigger outermost petal or vexillum, the two lateral wings, and the 2 innermost, sometimes united along the margin, forming the carina or keel. Stamens 10, rarely fewer, free or fused, mostly the adaxial stamen free or nearly so and the 9 united together, anthers uniform or dimorphic, basifixed or dorsifixed. Ovary unicarpellary, mostly unilocular, many-1 ovules on the adaxial suture. Fruit dehiscent by 2 or 1 sutures or indehiscent, or jointed and breaking up into 1-seeded parts. Seed sometimes arillate, with or without endosperm. A large family with c. 480 genera and c. 12000 species; cosmopolitan in distribution. Acknowledgements: I am grateful to the authorities of the following herbaria for herbarium and library facilities: Royal Botanic Gardens, Kew; British Museum (Natural History), London; Royal Botanic Gardens, Edinburgh; Naturhistorisches Museum, Vienna; National Herbarium, Rawalpindi; Pakistan Forest Research Institute, Peshawar and the herbarium of PCSIR, Peshawar. I am indebted to Dr. R. K. Brummitt, Dr. B.L. Burtt, Dr. R.D. Meikle, Dr. R. Polhill, Dr. W.T. Stearn, Mr. C. C. Townsend and Dr. V. Verdcourt for discussing various problems from time to time and for their advice and suggestions. My thanks are due to Mr. Abdul Ghafoor, Dr. M. Qaiser, Dr. Sultanul Abedin and Mr. Mohammad Niaz for checking the manuscript and for seeing it through the press. I am grateful to Miss P. Halliday for kindly accepting the extremely arduous task of checking the proof. The financial assistance, received from the United States Department of Agriculture under P.L. 480, is thankfully acknowledged.